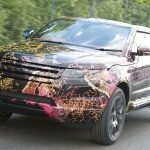 Auto Express has obtained the first undisguised images of the eagerly anticipated compact Range Rover and the first pictures of the new, facelifted Land Rover Freelander. 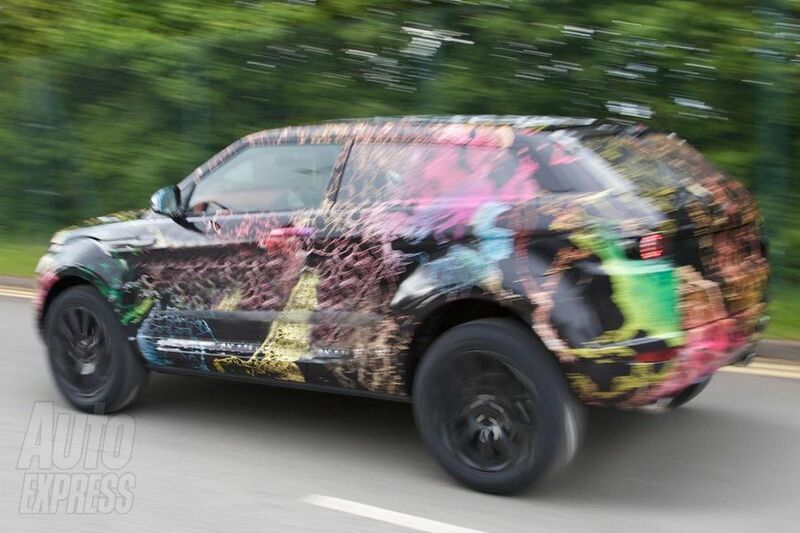 Lightly disguised with a psychedelic paint job, these world first shots of the Range Rover reveal just how faithful to the design of the original Land Rover LRX concept car the new Range Rover will be. It’s distinctive three-door bodywork and bold profile are virtually identical to the 2008 Detroit Motor Show star, as is the dramatic face, which gets pinched headlamps and a bold honeycomb grille. Under the skin, Range Rover is promising to offer the very latest fuel saving technology. That means drivers will be offered a choice of 2.0-litre petrol and 2.0-litre diesel engines – both of which will offer stop and start technology. 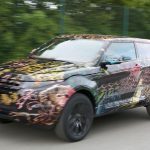 First versions of the car will feature four wheel drive transmissions, though parent firm Land Rover has announced that a two-wheel drive edition is also under development. 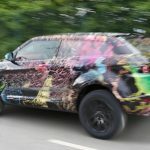 The first front wheel drive model in its history, the two-wheel drive machine will be an addition to the range of all wheel drive compact Range Rovers. Serving as an entry level model that will focus on lower running costs and improved fuel efficiency. Low emmissions are also promised, with the car producing less than 120g/km of CO2 – all of which will be achieved without the need for hybrid technology. Land Rover is also likley to benefit from the new two wheel drive powertrain. Though no official announcement has been made, it seems likley that the technology will be made available on the front wheel drive edition of the facelifted Land Rover Freelander – which we also have pictured. Due on sale later in 2010, Land Rover is also planning to introduce a new version of the TD4 E stop and start Freelander – this time paired with an automatic gearbox. Looking further into the future, Land Rover is also working on a hybrid evolution of both this car and the compact Range Rover – due for launch in 2013. With dark windows, it will look perfect for drug dealers or anyone wanting to re-enact Blade Runner. I like your comment but I thought it looks more like those Judge Dredd Land Rovers in the Gaydon Heritage Centre! I’m someone who doesn’t really get the fad for 4x4s – especially in cities like London and Manchester etc. – so this isn’t my kind of car. However, THIS LOOKS ACE and will sell like hot cakes. 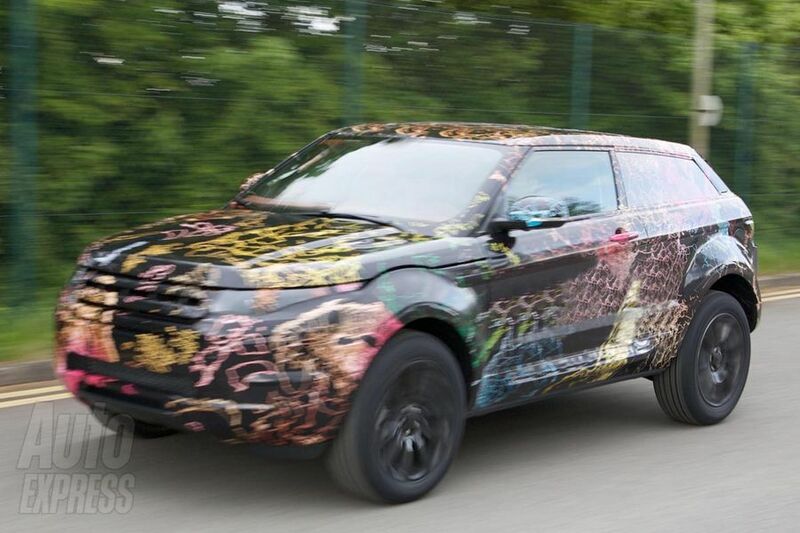 This new Range Rover would have to fly to get into Blade Runner but would suit Judge Dredd. An upmarket descendent of the R8 200? 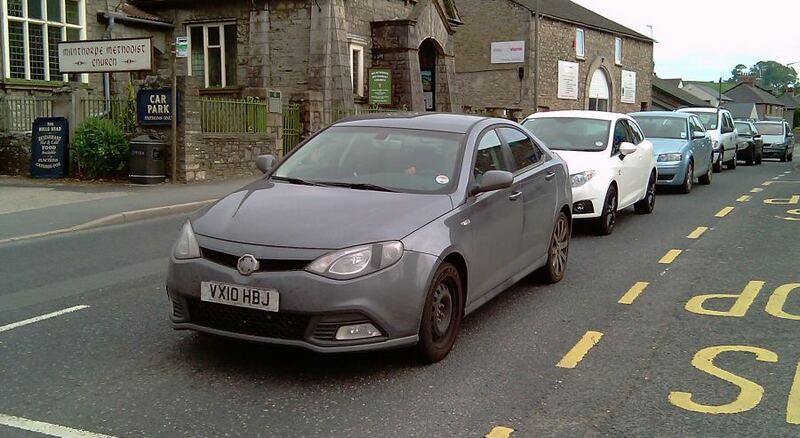 All it needs is lowered suspension, a maroon oval badge and just five letters across the bonnet. Anyway, it looks fantastic – at last a low-fat way to enjoy modern British design from the original Rover company. Ugly and unnecessary – but it will appeal to shallow people who are looking for status. I hope it brings them that. Stick a Post-it note over the ‘Range’ badge then, hey presto, you’ve got a Rover! Absolutely perfect – I want one asap. Does no one else see an Audi A3 on steroids then? It’s difficult to judge the style of the car with its Jackson Pollock paint job. I think you need to go to Specsavers! Why are they devaluing the Range Rover badge with this fashion item? Don’t people who want a quality small Land Rover buy a Freelander? DaveH :Why are they devaluing the Range Rover badge with this fashion item? Don’t people who want a quality small Land Rover buy a Freelander? 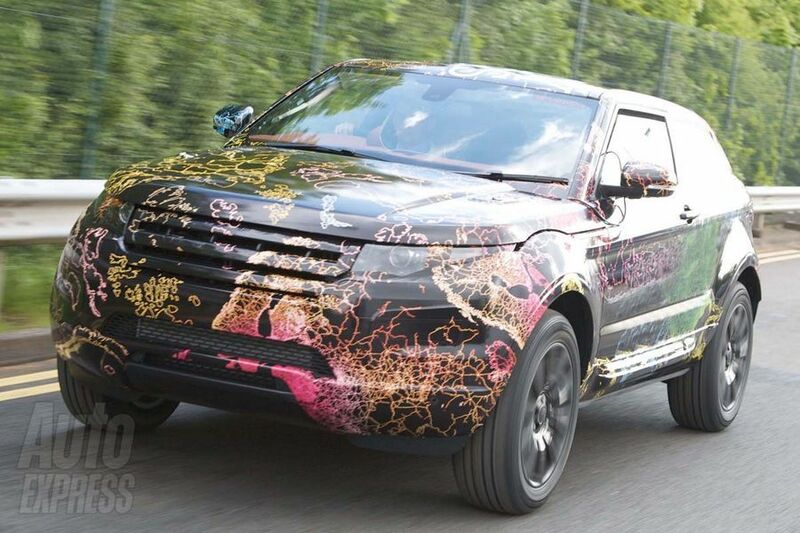 Interesting thought this… Why dilute the exclusivity and aspirational appeal of the Range Rover name for this model which will share just a few design cues with the Range Rover? Are Land Rover trying to copy Mitsubishi by creating a family of varying sizes of Shogun, but by using the Range Rover brand? Land Rover has already erroded some of the exclusivity of the ‘Autobiography’ sub-brand by applying it to a line-build flagship Range Rover derivative, rather than keeping it as the preserve of bespoke specification models handled by Special Vehicles. Come on Land Rover, show sense here and call it a Land Rover instead. I would rather that this new model had the working honesty of the Land Rover name scrawled across its bonnet to remind me of when the Freelander used to appeal to younger buyers like myself, namely via the original three-door bodystyle. I think the LRX is going to fill a gap at the bottom of the range. According to Autocar, the Disco will be phased out, the next RR Sport will be a 7 seater to replace that car and the Freelander 3 will then move up a segment thus leaving the mini-ish SUV slot to the LRX. Hmmm, I’m thinking that it’s ‘the Emperors new clothes’ time here. I think that Land-Rover’s long-term future should not really be more than a three model line-up: utility Defender type, luxury Range-Rover type and junior Rav4 type. Can we not see the environmental lobby in not-too-far distance? WhY do they need to increase development costs and dilute sales in this ‘let’s build more facsimiles of the 4×4 formula’ manner? What I think JLR need to do is to broaden its appeal down market in the eco/mass market. However, my point here is that I think they need to diversify into other markets away from low gas mileage stuff they’re currently making. I wonder if Peugeot would release the Humber brand? I thought that there was a 2-Litre Range Rover for those who can’t afford a proper Range Rover – it’s called a Freelander. Surely this is just a Freelander Sport or, at least, a Sport version of the new Freelander? Having decided to drop the X-TYPE because it devalues the Jaguar brand, why are JLR doing the same to the Range Rover brand? I understand the point, but you could argue the same thing about the BMW 1 Series (for instance) devaluing the brand. People are downsizing and Range Rover quality in a smaller package perhaps reflects that. Besides, are you suggesting that the full-fat Range Rover isn’t a fashion item? 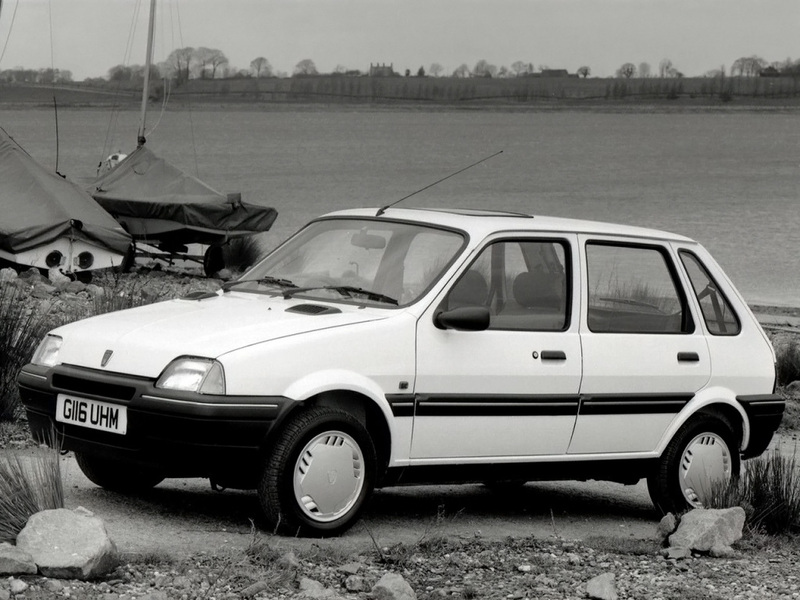 A wedge shaped body… This is really the relaunch of the Austin Princess. I wonder if it will have a square steering wheel?